Paperback, 6.5 x 9 in. / 80 pgs / 46 color. 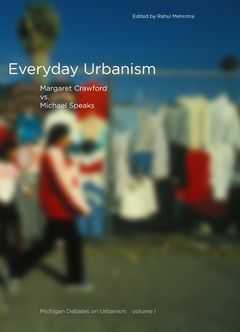 Everyday Urbanism is one of three books in the “Michigan Debates on Urbanism” series that also features New Urbanism and Post Urbanism. 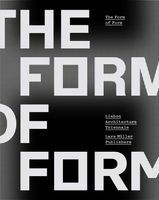 Each book represents a distinct, inevitable, but still-emerging paradigm in contemporary urbanism, and is an elaboration on public debates held at the University of Michigan's Taubman College of Architecture and Urban Planning during the winter of 2004. In this volume Margaret Crawford, co-author of Everyday Urbanism and Professor of Architecture at Harvard University, is the protagonist. She presents the case for an informal, bottom-up urbanism that celebrates and builds on everyday, ordinary life and reality, with little pretense about the possibility of a tidy or ideal built environment. Michael Speaks, Graduate Program Director at the Southern California Institute of Architecture and a widely published author, is the respondent. Rahul Mehrotra, Associate Professor of Architecture and Urban Design at the University of Michigan and award-winning Bombay designer, introduces and moderates the exchange. FORMAT: Paperback, 6.5 x 9 in. / 80 pgs / 46 color.